This paper investigates the underlying motive of prosocial behavior in young children, particularly the function of benevolent feelings. On an evolutionary scale, the human capacity for genuine other-oriented behavior significantly contributed to a group’s survival as a whole. Studies on the ontogeny of prosocial behavior suggest that the motive of young children’s helping behavior is a genuine concern for another’s well-being. By the second year of life, children engage in various ways on behalf of others, including fulfilling others’ goals and comforting those who are hurt. A brief review of this developmental work is provided with a focus on specifying the intrinsic motivational mechanism of children’s prosociality. Not only do children show signs of genuinely selfless behavior, but their concern for others develops to include more flexible sympathetic responses, such that children help less if a request for help is unjustified. Children’s sympathetic helping is driven by an assessment of the person’s actual need. 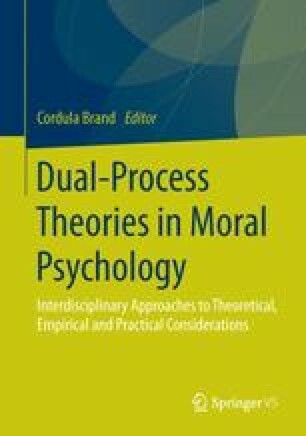 Such insights into justified and unjustified requests for help may represent one crucial step toward children’s more flexible forms of prosociality, including moral behavior. Carnegie Hero Fund. (2014). http://carnegiehero.org/search-awardees, 28.7.2014.